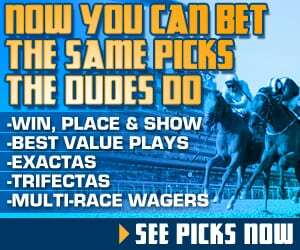 Saturday gave us over 13 straight hours of stakes racing, from Dubai at Meydan Race Course starting very early in the morning, then on to Florida Derby Day at Gulfstream Park, before ending with the first Saturday of racing at Santa Anita since March 2. 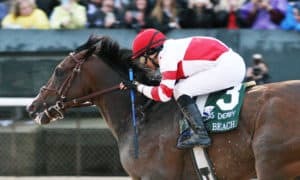 All in all, it was extremely entertaining, with exciting wins in Dubai and more surprise finishes along the Kentucky Derby Trail. Picking three stars was not easy; however, here are the ones that stuck out best in our opinion. 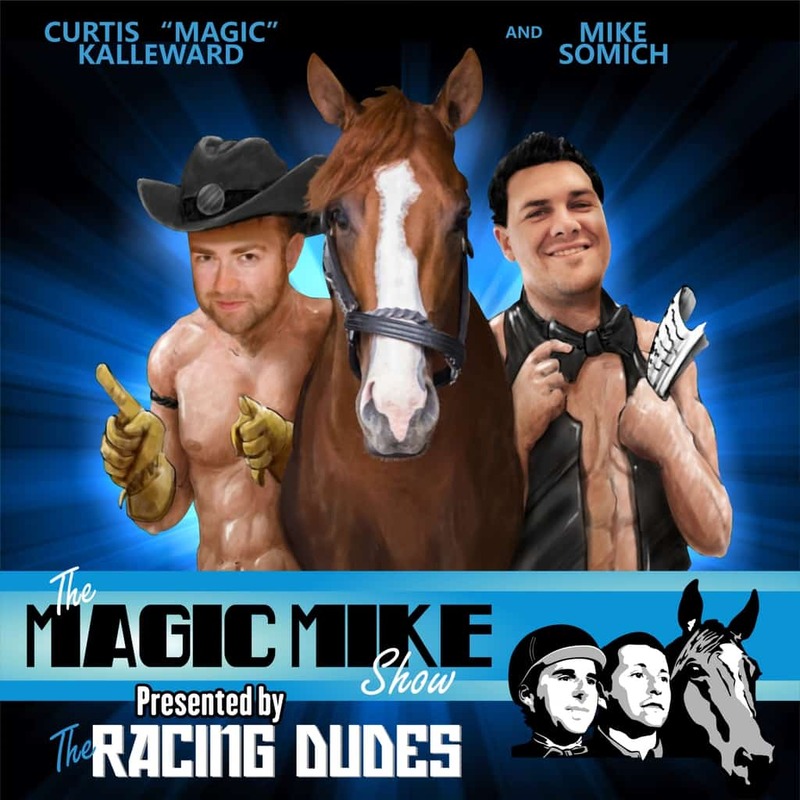 The entire Racing Dudes Team has grown to love this speedy horse who seemingly lays it all on the line each time he runs. 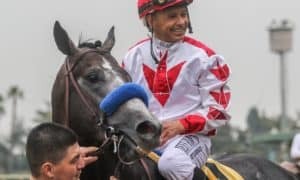 His past heartbreaks in this race were well-documented over the past week; however, X Y Jet put it all behind him on Saturday as he finally got his Golden Saheen (G1) victory. As usual, he caught a flyer out of the gate, going out and setting the early pace. 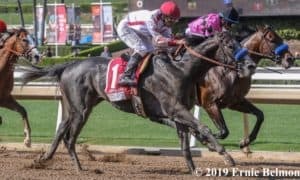 Turning for home, rival Matera Key started to move close to X Y Jet, but jockey Emisael Jaramillo asked X Y Jet for more, and he responded by pulling away for a 1 1/2-length victory. 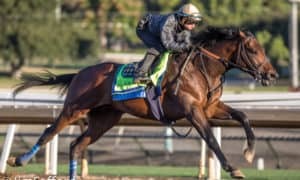 At the age of 7, this amazing horse is running better than ever. Hopefully, we’ll get to see him a few more times to round out the year. 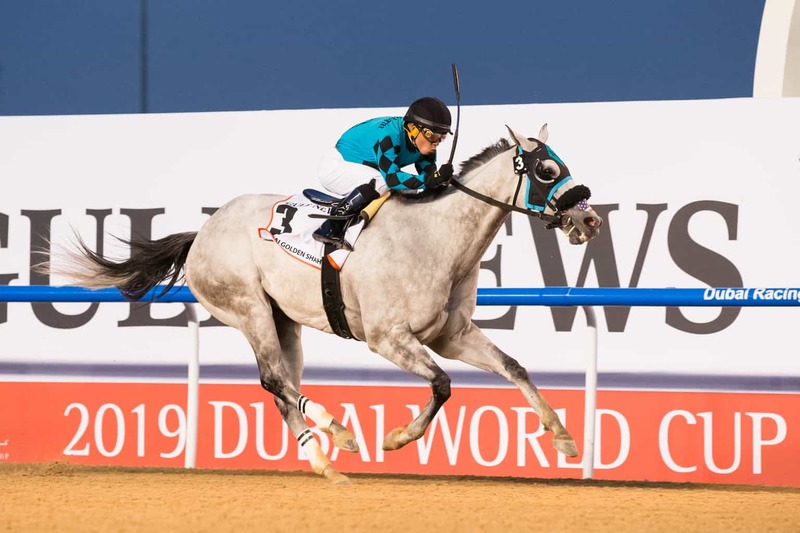 History was made Saturday night under the lights in Dubai as the Godolphin-owned Thunder Snow became the first horse to ever win two straight editions of the Dubai World Cup (G1). Last year’s victory was a total walk in the park for him, as he took the lead and won for fun. This year, though, it was a fight to the finish. Turning for home, Gronkowski was the unlikely leader after uncharacteristically stalking the early pace. 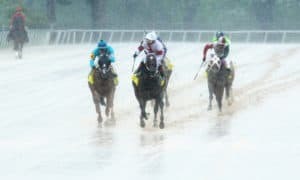 It looked as though the newly-turned 4-year-old was going to steal the race in late stretch; however, the determined Thunder Snow wore him down right at the wire to win by a nose. Now the challenge for Thunder Snow will be to build off of this effort, unlike last year, when he was winless until returning here. 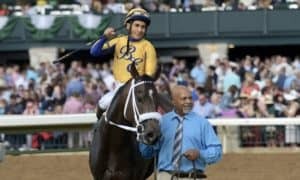 There is no doubt that this is a world class racehorse, though, after this latest triumph. This is a true rags-to-riches story. 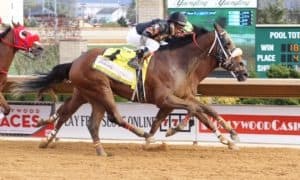 Just a few short months ago, Maximum Security debuted in a $16,000 maiden claiming event, but now, he is a stakes winner at the highest level after winning last Saturday’s Florida Derby (G1). 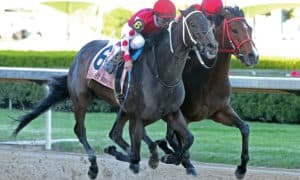 He was able to fall onto the lead with virtually no pressure up the backside, despite running fractions that were considerably slow for a G1 event. Turning for home, you could tell that he wasn’t going to stop anytime soon, cruising to an easy 3 1/2-length triumph. 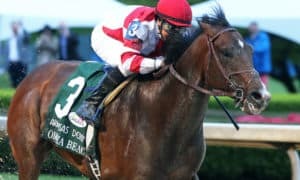 There will be plenty of speculation regarding his talents over the next five weeks; however, he did receive a 101 Beyer speed figure for the victory. With this year’s crop, anything is possible!